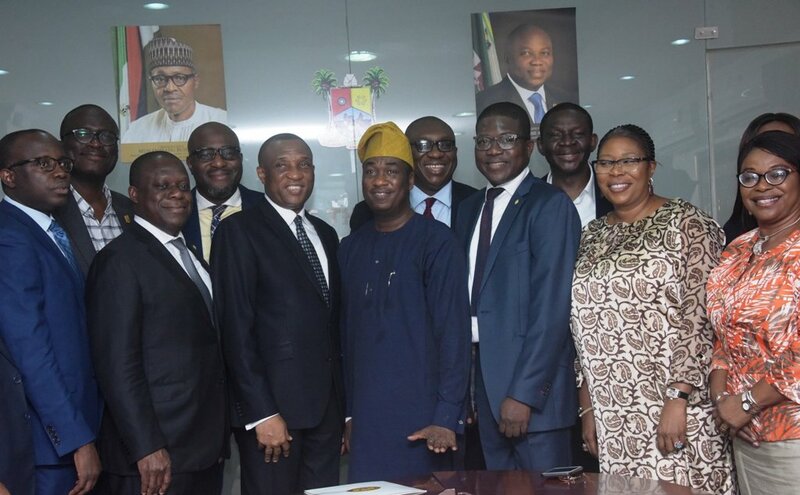 Lagos Governor, Akinwunmi Ambode on Tuesday inaugurated a 20-man Transition Committee to ensure a smooth transition of power from the outgoing Administration to the incoming. Ambode was represented at the event, which was held in Ikeja, by the Secretary to the State Government, Tunji Bello, who is also Co-Chairman of the Committee. Ambode said the Committee was organised to maintain stability, build on solid status of the state and ensure seamless transition to incoming Administration of All Progressives Congress, APC Governor-elect, Babajide Sanwo-Olu and his Deputy, Obafemi Hamzat. Earlier in his welcome address, Lagos State Head of Service, Hakeem Muri-Okunola described the transition as a result of the success of the APC in the last elections. Members of the Committee include the Head of Service, Muri-Okunola; Attorney General and Commissioner for Justice, Adeniji Kazeem; Commissioner for Finance, Akinyemi Ashade; Commissioner for Works and Infrastructure, Ade Akinsanya; Special Adviser to the Governor on Education, Obafela Bank-Olemoh; and Special Adviser on Urban Development, Yetunde Onabule. Other members are Permanent Secretary, Works and Infrastructure, Jimi Hotonu; Accountant General and Permanent Secretary Treasury Office, Abimbola Umar; Permanent Secretary, Economic Planning and Budget, Abayomi Kadiri. Ayo Gbeleyi; Sam Ngube; Muyiwa Gbadegesin; Tayo Bamgbose-Martins; Bayo Sotade; Solape Hammond; Bunmi Fabanwo; Bukola Odoe and Toke Benson Awoyinka are also members.